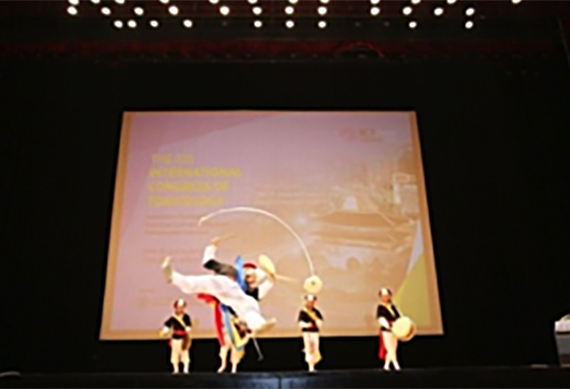 The 13th International Congress of Toxicology (ICTXIII) was held June 30–July 4, 2013 in COEX, Seoul, Korea. 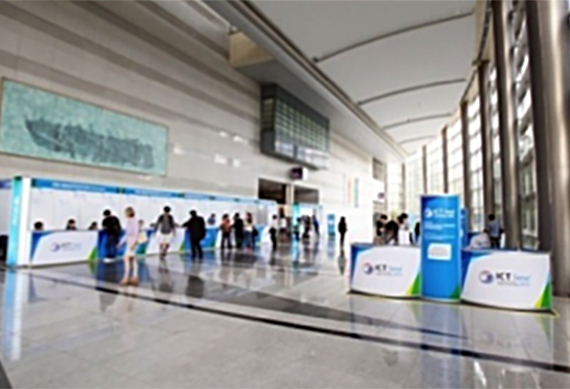 The host organizers from the Korean Society of Toxicology (KSOT) selected a state-of-the-art venue for this important meeting titled, Translational Toxicology from Basic Science to Chemical and Environmental Outcomes. To Congress Chairs Dr. Byung-Mu Lee and Dr. Sang Geon Kim, IUTOX is very grateful for the successful organization of an outstanding scientific program and international event attracting over 1,600 scientists from at least 50 nations. 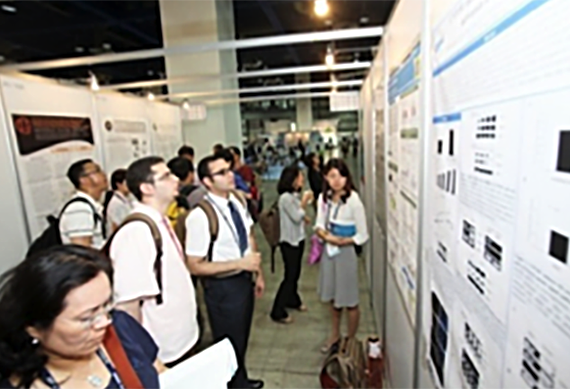 The Scientific Program Committee organized an excellent slate of presentations featuring talks by many leading toxicology researchers from around the globe including 286 invited lectures and 980 presented poster abstracts. Scientists were also able to interact with 185 exhibitors displaying current products and technology. The Korean Society of Toxicology also entertained guests with a stunning social program including the Opening Ceremony, Welcome Reception featuring a welcoming address from the President of KSOT, Gala Dinner with a Fusion Drum Performance and awards presentations, and the Closing Ceremony with the presentation of fellowship awards to our deserving Junior and Senior Fellows and Trainee Awards winners. The General Assembly of the International Union of Toxicology was held Wednesday, July 3, 2013. The General Assembly included representatives from numerous IUTOX Member Societies and was the platform to hold elections of Executive Committee members to serve for the 2013–2016 term, selection of the 2019 ICTXV venue, and adoption of proposed bylaws amendments. The Danish Society for Pharmacology, Toxicology and Medicinal Chemistry and the Society of Toxicology proposed bids to host the ICTXV meeting in 2019 in Copenhagen and Honolulu, Hawaii respectively. IUTOX is very grateful for the time and effort each Society dedicated to submitting excellent proposals and following compelling presentations by Eva Cecilie Bonefeld-Jørgensen (Danish Society of Pharmacology, Toxicology and Medicinal Chemistry) and Lois D. Lehman-McKeeman (Society of Toxicology [USA]), at the General Assembly, the electorate selected the Society of Toxicology to bring the Aloha spirit to ICTXV in Honolulu, Hawaii. During the 13th International Congress of Toxicology, IUTOX was proud to present Professor Dr. Her Royal Highness Princess Chulabhorn Mahidol to receive its highest honor, the Merit Award. This award was presented during the Opening Ceremony of ICTXIII in Seoul on Sunday, June 30, 2013. With this award, the IUTOX Executive Committee is proud to recognize numerous contributions to the development of toxicology and risk assessment training programs in the Asia-Pacific region, especially in South East Asia. IUTOX also recognizes Professor Dr. Her Royal Highness Princess Chulabhorn Mahidol’s seminal role in the establishment and development of the Chulabhorn Research Institute in Bangkok and significant work in the field of environmental toxicology, which led to the establishment of a UNEP Centre of Excellence for Environmental and Industrial Toxicology at CRI. IUTOX also applauds and honors the tireless efforts to provide advanced educational opportunities in the region by creating the Chulabhorn Graduate Institute, and developing long distance learning tools to make risk assessment coursework available to students and scientists in developing countries. Professor Dr. Her Royal Highness Princess Chulabhorn Mahidol, founding President of the Chulabhorn Research Institute, is the youngest daughter of Their Majesties King Bhumibol Adulyadej and Queen Sirikit of Thailand. As a qualified scientist, she has always attached the greatest importance to the role of science in social and economic development, and accordingly originally conceived the idea of creating a national institute to assist in the development of Thailand.